How Much Does Aeration and Seeding Cost? By far, the most reliable and easiest way to have your lawn aerated and seeded is to hire a professional. The cost of the services depends on how large your yard is. 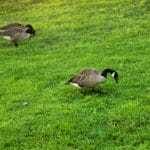 For example, Green Lawn Fertilizing charges approximately $300.00 for a 5K square foot lawn. This includes the costs of products and equipment, time, experience, and a guarantee of a green lawn. This price does not take into account special offers that are available periodically. The bottom line: Professional services are billed on a square footage basis and will vary from company to company. While the cost is more than DIY methods, you gain the knowledge, guarantee, time, and you don’t have to invest in equipment. The biggest cost of DIY methods is your time, generally a whole day’s worth. While the upfront costs can be substantial, once you have the tools you need, the cost is small year after year. You can purchase aerators starting at $60 and prices go well into the $300 range. 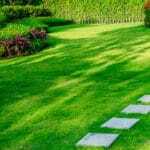 The less expensive ones tend to be smaller—about 1-1/2 feet—so you can imagine how long it will take to push that all the way around your lawn. Hint: a long time! 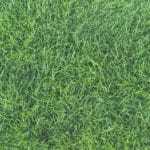 Each year you will have to invest in grass seed, and the cost varies based on the grass you choose and the size of your lawn. You can spread seed by hand, or you can get a seeder that will make the job much easier. Those, once again, vary in price, somewhere between $50 and $100+. The bottom line: DIY methods can require substantial start-up funds if you want to make the job as easy and quick as possible. The biggest investment by far will be your time. 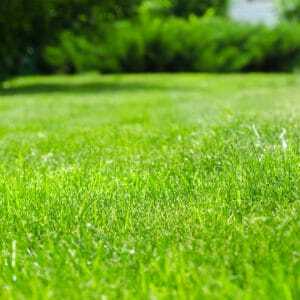 Let Your Local Lawn Care Professionals at Green Lawn Fertilizing Do the Work. 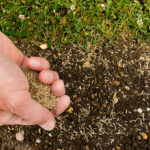 A lot goes into creating the lawn of your dreams, which is why we offer aeration and seeding services and have a year-round Green Lawn Program to make your lawn as beautiful and healthy as possible. Call us at 888-581-5296 to find out more.